I’m here to admit that I have an unhealthy obsession with Target. But how could I not when they have amazing things for $1!? 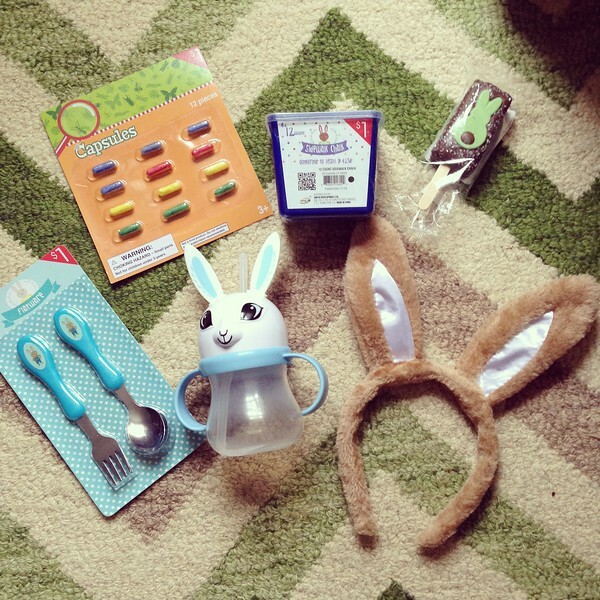 I practically filled Turner’s Easter Basket with the $1 section of Target! Turner doesn’t know the difference and he is just as obsessed as I am. Here’s a quick glance at his basket. The only things I didn’t get from Target were his chocolate covered rice crispy treat, and a Peter Rabbit book from Barnes and Noble. 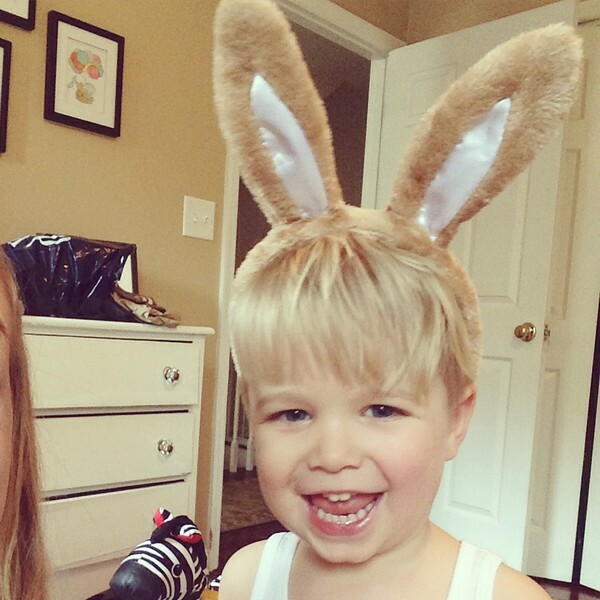 Turner’s absolute favorite is the bunny ears. The way I tested if I would get them, was if he actually wore them while we walked around Target. Sure enough, he wore them the whole time and then some. So, there you have it. Our quick little Easter Basket guide! I’m really looking forward to this Easter. 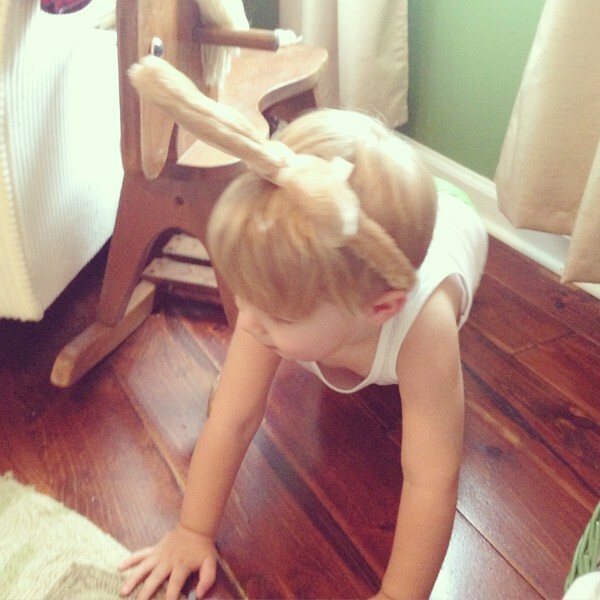 Not only is Turner old enough to enjoy it, but I’ll be feeling much better by then!